Hey, you know how Smashing Pumpkins were teasing a big announcement on February 15? Well, here it is: A 36-city North American tour, called the Shiny And Oh So Bright Tour. 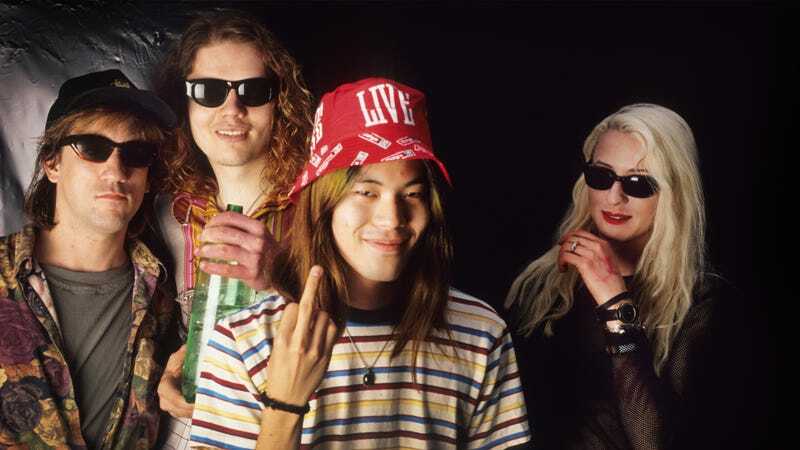 The tour reunites three-fourths of the original Smashing Pumpkins lineup; missing is original bassist D’Arcy Wretzky, who’s given interviews to several outlets saying that Corgan went back on his initial promise to include her the reunion and cut her out of his tour plans. Considering the press release for the tour reads, “THE SMASHING PUMPKINS FEATURING ORIGINAL MEMBERS BILLY CORGAN, JIMMY CHAMBERLIN, AND JAMES IHA ANNOUNCE FIRST TOUR SINCE 2000,” seems that she was right. Anyhow, the tour begins in Glendale, Arizona on July 12 and snakes across the U.S. and the Eastern part of Canada, ending in Boise, Idaho, on September 7. A complete list of tour dates, along with a promo video announcing the tour featuring Siamese Dream cover kids Ali Laenger and LySandra Roberts, now all grown up, is below.